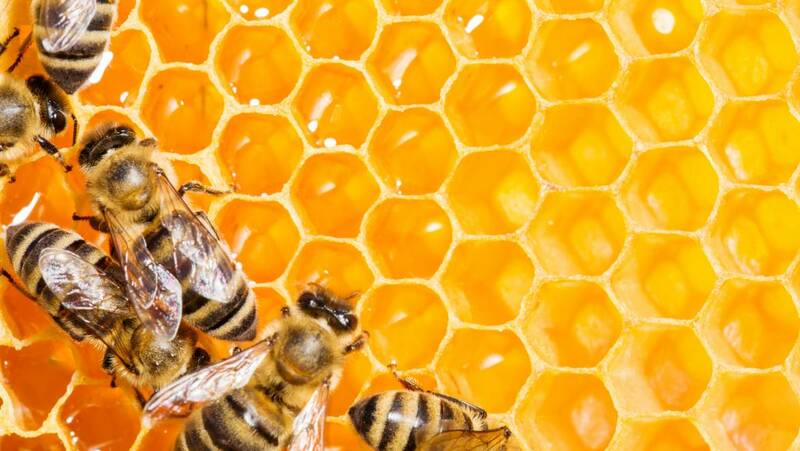 Think you know all about honey? 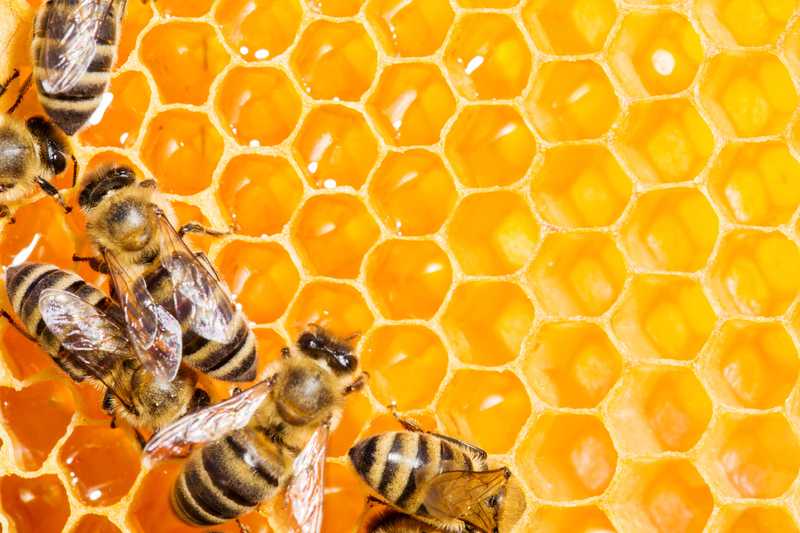 Test your ‘buzz-ology knowledge-y’ with fun honey trivia. Pale Purple Coneflower (Echinacea pallida, perennial): An elegant beauty with fine, drooping petals, the pale purple coneflower is a bee favorite that also produces seeds much loved by finches. Common yarrow (Achillea millefolium, perennial): The bright, flattened heads of common yarrow are covered with tiny daisy flowers that bees really favor. Sunflowers (Helianthus annuus, annual): Nothing attracts and feeds bees like good old sunflowers. Blue Giant Hyssop (Agastache foeniculum, perennial): The pretty spires of purple flowers produced by the giant hyssop become simply covered with bees. Horsemint (Monarda punctata, perennial): Few garden perennials draw bees as efficiently as the long-blooming horsemint. Purple Coneflower (Echinacea purpurea, perennial): The popularity of purple coneflowers and their many hybrids serves as a testament to their beauty and resilience. Black-eyed Susan (Rudbeckia spp., annual or perennial): Nothing says summer like a beautiful black-eyed Susan, and bees appreciate their prolific flowers just as much as we do. Asters (Symphotrichum spp., perennial): The pinks, blues, and purples of late-summer and fall aster flowers are a delight to all bees. Joe-Pye Weeds (Eutrochium spp., perennial): This group of mid-to late-summer bloomers produces big, fuzzy heads of purplish-red flowers filled with nectar and pollen. Goldenrods (Solidago spp., perennial): Lauded as one of the best bee flowers for late summer and fall, goldenrods become a buzzing mass when they open. The hexagon is considered one of the strongest, natural structural design configurations. Honey bees construct hives by chewing wax until it becomes soft, then bonding large quantities of wax into the cells of a honeycomb. How many bees live together in a hive? -As many as 80,000 bees. Worker honey bees make hives to store honey and feed themselves throughout winter when they cannot go outdoors to forage for food. Honeybee hives are made of six-sided tubes, which are the shapes for optimal honey production because they require less wax and can hold more honey. Some hives develop broods which become dark in color over time because of cocoon tracks and travel stains. Other honey bee hives remain light in color. Wild honey bees make hives in rock crevices, hollow trees and other areas that scout bees believe are appropriate for their colony. When worker bees crowd together within a hive, the hive remains at around 30 to 35 degrees Celsius, the temperature necessary to control the texture of the wax that forms the honeycomb. Trivia Sources: The National Honey Board (https://www.honey.com), Beekeeping For Dummies – 3rd Edition (http://www.dummies.com/home-garden/hobby-farming/beekeeping/honey-trivia), FoodReference.com (http://www.foodreference.com/html/fhoney.html), Jesse Keith, FarFard – The Science Behind the Art (http://fafard.com/terrific-flowers-for-honey-bees), and “How to Honey Bees Make Honey?” – Orkin (https://www.orkin.com/stinging-pests/bees/how-do-honeybees-make-hives).